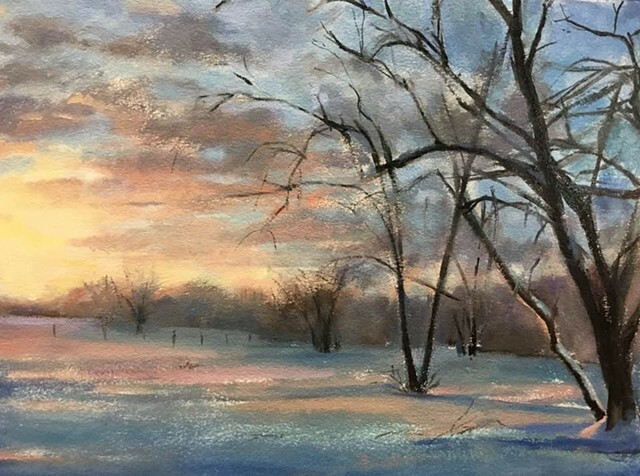 This wintry scene depicts the moment when the sun rises in the morning. All is quiet as the sun it casts cool shadows on the ground. The trees add to the interplay of light and shadow. I anticipate a new day as I sip my coffee.